If you’ve been hurt after being involved in an accident that wasn’t your fault – our Shrewsbury personal injury team of solicitors can help. If you (or any member of your family) has been injured on the road, at work, or even whilst walking down the street, our team of experienced solicitors are on hand to assist you with the very best legal support and expertise. We offer a No Win No Fee service – meaning you never need to pay as much as a penny upfront when you use us to investigate your injury claim. Once we have deduced whether you have a valid case for compensation, we’ll do everything in our power to ensure you receive the money you’re entitled to. Simply call us today on 0800 073 8804 to arrange a free consultation. We can get your personal injury claim started today. The injured person originally entered a situation expecting to be safe and secure and was unaware of any dangers in the area created by another party. Another party displayed negligence and breached their duty of care. In order for a personal injury claim to be successful, supporting evidence will be required to prove that another party behaved in a negligent manner and ultimately breached their “duty of care”. Our team of solicitors work right alongside you from day one to build as strong a case as we possibly can, gathering all the necessary evidence required to increase the chances of you being awarded rightful financial compensation. Our injury solicitors for Shrewsbury are specialists in the personal injury claims field, having operated in the industry for years and successfully winning back thousands of pounds’ worth of compensation. Road traffic collisions (covering injuries like whiplash, bruises and broken bones). Accidents in the workplace (including offices, warehouses, labour sites or any other working environment). Slips, trips and falls on privately or publicly owned property. Head, neck and spine injuries. Accidents suffered whilst on holiday. If you’ve been involved in a road traffic collision in the Shrewsbury area, you can trust our team to investigate the incident and give you the best possible chance of earning financial remuneration for any injuries you might have sustained. Road traffic collisions can happen suddenly on any road at any time, and are often the result of one particular party not paying due care and attention whilst they are behind the wheel. If you’ve suffered an injury due to the negligent actions of another party – you deserve compensation. Our solicitors specialise in handling all types of road traffic accident claims, including incidents involving cars, motorcycles, bicycles, buses, HGVs and lorries. If you’ve been hurt on the road in any way, contact us and we’ll be able to offer you the support, guidance and expert assistance you need to win your claim. If you are ever involved in an accident on the road, always obtain the insurance details of the other drivers in question and contact the police so they can draw up a report. If there are any witnesses in the area, ask for their contact information too, and be sure to take pictures of your vehicle if you can. All this information will prove vital in a court of law when it comes to determining the validity of your personal injury claim. Contact our personal injury solicitors for Shrewsbury today and we’ll get started on building your claim right away. If you work in Shrewsbury and have suffered an injury whilst at work, you may be eligible for financial compensation. Employers are obliged to take care of their workforce to the best of their ability and ought to compensate you for any injuries they are liable for. If you find yourself injured on the job, report the incident to your employer and obtain the contact details of any witnesses who saw the accident unfold. Our personal injury solicitors will have a much better chance of getting you the money you deserve if you follow all the necessary procedures correctly and have a good bank of evidence to draw on during negotiations. Give us a call today and see what our personal injury solicitors can do for you. We do our very best to make the personal injury claims process as simple and easy as possible. Our team understand how stressful and traumatic being involved in an accident can be, which is why we attempt to take absolutely everything off your hands when we pursue the claim for compensation. We’ve seen every type of personal injury case imaginable and have access to the required resources, knowledge and expertise to win you back thousands of pounds in remuneration. Our No Win No Fee service means you don’t have to pay money for any legal fees during the entire claims process. Instead, we take an agreed percentage of the total compensation pay-out. If your claim is unsuccessful, using our services is completely free. The sooner you contact us after experiencing an injury, the fresher any vital details will be in your memory. We can provide advice, support and assistance that helps you to get back on your feet in the short run, whilst assembling a strong case for financial compensation in the long haul. 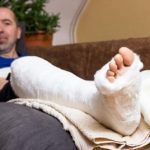 Whether you’ve broken your toe at work or hit your head on the dashboard in a car traffic collision – pick up the phone to our Shrewsbury personal injury team as soon as you possibly can. We can help you to claim back the compensation you deserve. Don’t feel intimidated or concerned about pursuing a claim. Just give us a call, explain what happened, and our team of personal injury experts are capable of handling the rest. So call our Shrewsbury personal injury lawyers today on 0800 073 8804.